London, UK - September 24, 2018 - Leading global index provider FTSE Russell reclassified Poland from Emerging Market to Developed Market status on 24 September 2018. With the upgrade, Poland is classified as one of the 25 most advanced global economies including the USA, UK, Germany, France, Japan, Australia. Furthermore, Poland is the first country in almost a decade, and the first Central and Eastern European country to be upgraded to Developed Market status. On 24 September 2018, as Poland achieved Developed Market status, FTSE Russell hosted the Market Open Ceremony at the London Stock Exchange to celebrate this historic milestone and capital markets’ development in Poland. Leading global index provider FTSE Russell reclassified Poland from Emerging Market to Developed Market status on 24 September 2018. With the upgrade, Poland is classified as one of the 25 most advanced global economies including the USA, UK, Germany, France, Japan, Australia. Furthermore, Poland is the first country in almost a decade, and the first Central and Eastern European country to be upgraded to Developed Market status. The upgrade of Poland to Developed Market status represents an acknowledgement of the progress of the Polish economy and capital markets and is a major step in their development. Poland has all the features of a developed market, including secure trading and post-trade services, as well as advanced infrastructure. GPW uses a state-of-the-art trading system and its listed companies meet the highest standards of corporate governance and disclosure requirements. Reza Ghassemieh, Chief Research Officer, FTSE Russell and Marek Dietl, President of the Warsaw Stock Exchange. “Poland’s promotion today to Developed market status within FTSE Russell’s global equity benchmarks is a significant achievement. 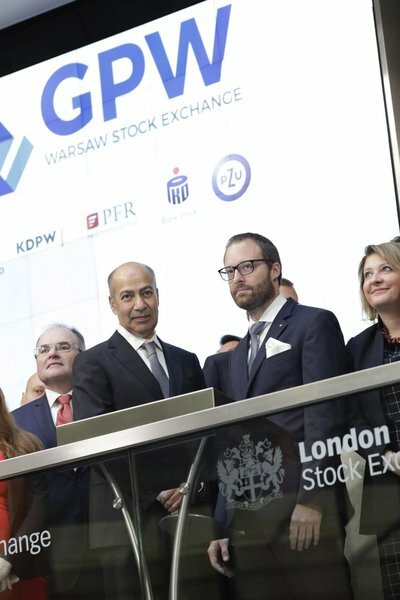 The Polish Ministry of Finance and the Warsaw Stock Exchange have long been committed to improving Poland’s capital markets infrastructure and strengthen its economy and today marks the culmination of their efforts to meet the rigorous criteria needed for this classification,” said Reza Ghassemieh, Chief Research Officer, FTSE Russell. 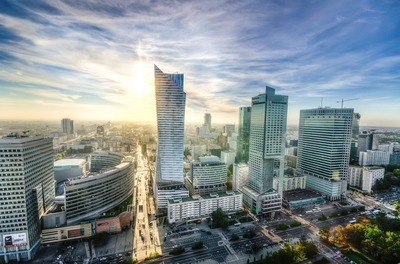 “The dynamic development of the Polish capital market has led to its upgrade to Developed Market status, which represents a fundamental change in the perception of Poland among global investors. Poland’s reclassification will spark the interest of new investors in Polish issuers and open enormous opportunities for the entire capital market. I do believe that in the long term it will attract bigger capital inflows to GPW,” said Marek Dietl, President of the Warsaw Stock Exchange. The Warsaw Stock Exchange (GPW) HQ in Warsaw, Poland. FTSE Russell reviews the classification in view of the regulatory environment, infrastructure and quality of the capital market, the depository and clearing system, as well as the status of the derivatives market. FTSE Russell indices serve as a benchmark for leading global investment funds. The classification results in moving companies from FTSE indices of Emerging Markets to FTSE indices of Developed Markets. • mid caps: PKN Orlen, Grupa Lotos, PGE, PGNiG, KGHM Polska, Bank Pekao, PZU, BZ WBK, mBank, LPP, Dino Polska, CD Projekt, Cyfrowy Polsat. • small caps: Bank Millennium, AmRest Holdings, Bank Handlowy, JSW, Alior Bank, CCC, Play Communications, Orange Polska, Grupa Azoty, Enea, Tauron Polska Energia, Kernel Holding, Kruk, Asseco Poland, Budimex, Eurocash, Ciech, Energa, PKP Cargo, Lubelski Węgiel Bogdanka, GPW, Boryszew, Neuca. FTSE Russell announced the upgrade of Poland from Emerging Market to Developed Market status on 29 September 2017, as a result of the annual classification of countries. The decision took effect in conjunction with the FTSE Global Equity Index Series semi-annual review on 24 September 2018. Marcin Adamczyk - Chief Executive Officer, TFI PZU SA. FTSE Russell is not the only index provider to upgrade Poland from Emerging Markets to Developed Markets. The upgrade of Poland by Stoxx, the Deutsche Boerse Group index operator, coincided with the FTSE Russell decision at the close of trading on 21 September 2018. As a result, from 24 September, Poland is classified by both companies as a Developed Market. Poland remains classified as an Emerging Market by MSCI, which in turn expands the range of investors interested in the Polish market. “The Polish stock exchange is in a comfortable position because Poland is a Developed Market in the classification of both FTSE Russell and Stoxx and an Emerging Market according to the global index provider MSCI. Most of the world’s investment funds (ca. 87 percent) invest in the countries with the most developed capital markets. We used to have access to 12-13 percent of the global investment cash pool and now, from September, we will have access to 100 percent. 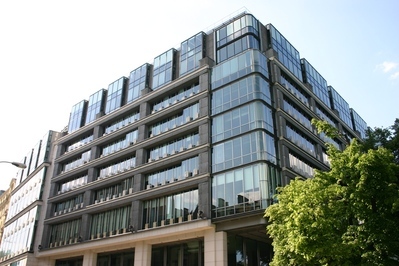 However, the reorganisation of investment portfolios following the FTSE Russell decision will take a few years,” said Marek Dietl, President of the Warsaw Stock Exchange. Stoxx has upgraded Poland from Emerging Markets 1500, an index which covers global stocks, to Europe 600, which only includes companies from European Developed Markets. FTSE Russell announced the promotion of Poland to Developed market status as part of the September 2017 FTSE Country Classification annual review of markets. This significant achievement is the first promotion of a country from Advanced Emerging to Developed market status to occur within the Country Classification scheme for nearly a decade. The transition will take place in conjunction with the FTSE Global Equity Index Series (GEIS) semi-annual review in September 2018. In this FTSE Russell paper we highlight the FTSE Country Classification scheme and outline the rigorous process followed by FTSE Russell, supported by the Country Classification Advisory Committee, and explain its importance for FTSE GEIS, the widely-followed benchmark index series used to measure the performance of global equity markets. We highlight the market infrastructure improvements and economic advances introduced by Poland to achieve Developed status and note some of the clear signs of a deepening and strengthening of the country’s capital market. • Following the recommendations of the FTSE Country Classification Advisory Committee and with the full support of the Regional Equity Advisory Committees and the Policy Advisory Board, Poland will be reclassified from Advanced Emerging to Developed market status with effect from the FTSE GEIS semi-annual review in September 2018. • Reclassification as a Developed market is the fruit of continuous improvements in Poland's capital markets infrastructure, supported by the country's steady economic progress. • Poland has the eighth largest economy in the European Union and the largest among the central European members. • As of September 2018, Poland will leave the FTSE Emerging All Cap Index (where its weight, as of March 2018, was 1.33%) and join the FTSE Developed All Cap Index, where its index weight is projected to be 0.154%.